Our wax pillars utilize the newest technology available. 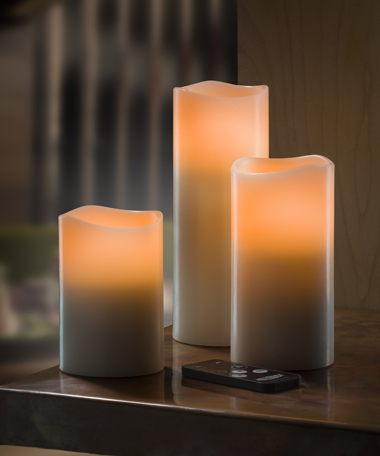 LED Wax Pillars create the most realistic flame color and flicker available in LED. 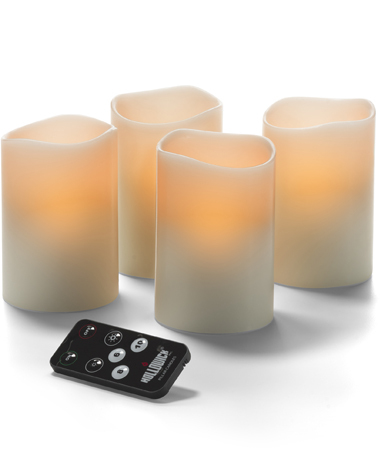 With three timer settings and a TrueRange™ remote control (included), you can control the beauty and ambience of your environment with ease. 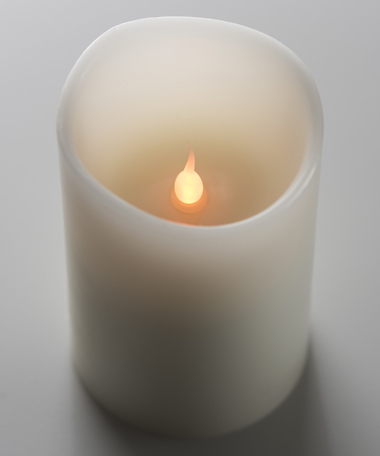 Safe and durable, these flameless wax pillars are designed for many years of continuous use. 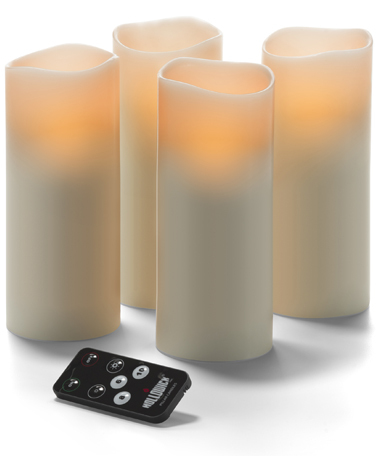 LED Technology provides a realistic flicker and appearance. 3-Stage timer can bet set for 6,8 or 10 hours. For best results use name brand Alkaline batteries. 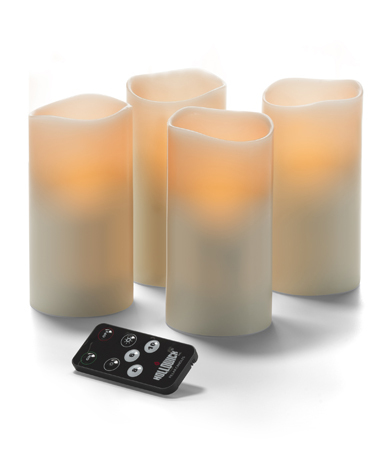 Remote control will only operate LED Wax Pillars. 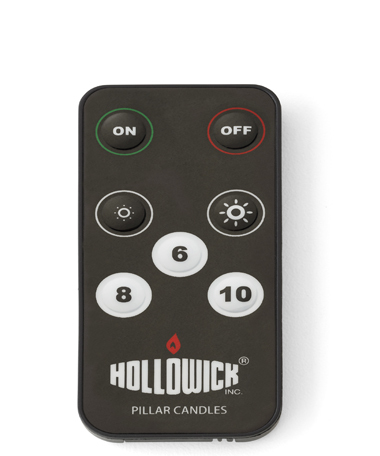 Not compatable with other Hollowick Flameless items that operate with remote control.